This optically isolated splitter amplifier allows you to add 4 branches to the data link for safe and trouble-free operation of larger DMX installations. • Amplification allows the link to be extended over the maximum length specified by the DMX-512 standard. 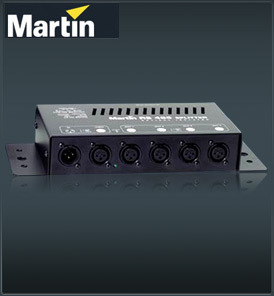 • Several splitter amplifiers may be used on the same link if additional branches are required.